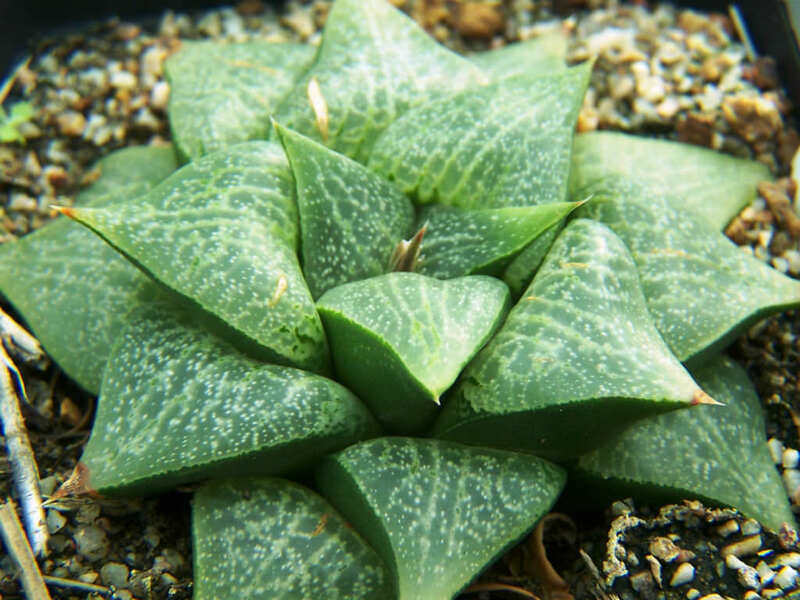 Haworthia emelyae var. comptoniana is a stemless, rosette-forming succulent. This plant is generally a solitary rosette. 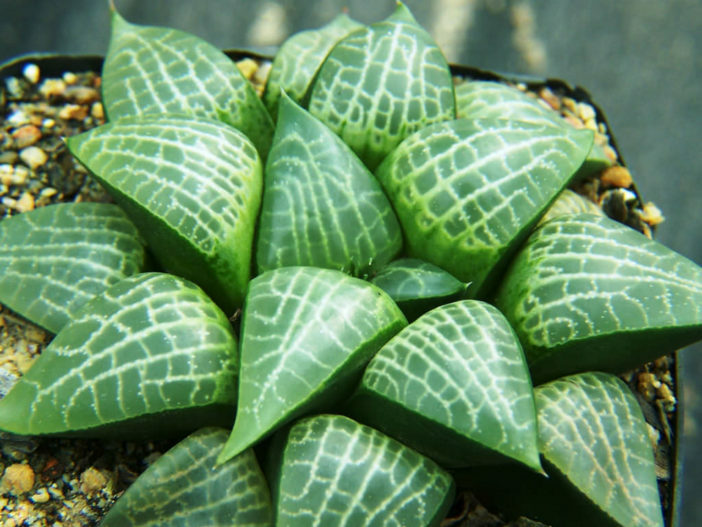 Its growth is almost entirely subterranean, with only the leaves’ apex exposed to the atmosphere at the soil level. 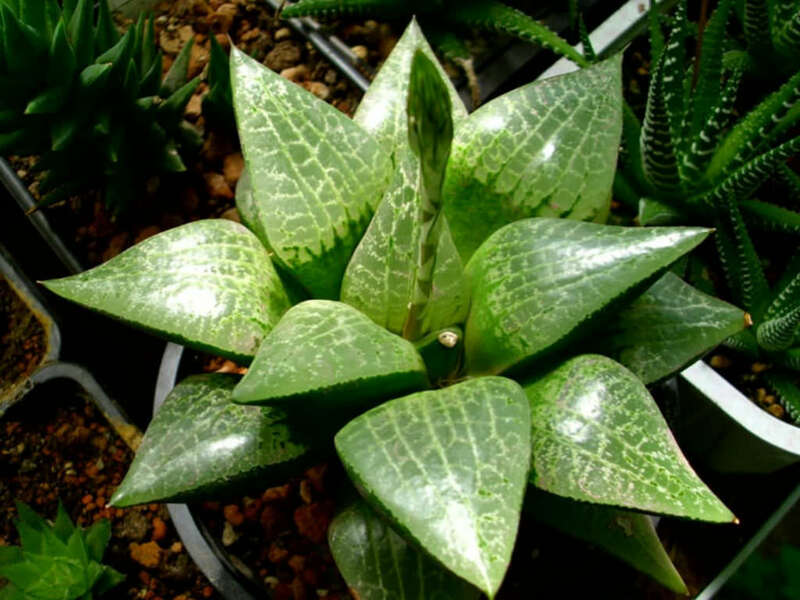 It is bigger than Haworthia emelyae, growing up to 5 inches (12.5 cm) in diameter. 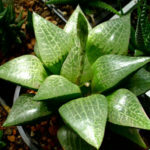 Leaves are broad triangular, up to 2 inches (5 cm) long and up to 0.8 inch (2 cm) wide, reticulated with pale white-flecked “veins” running into lines that converge at the apex. 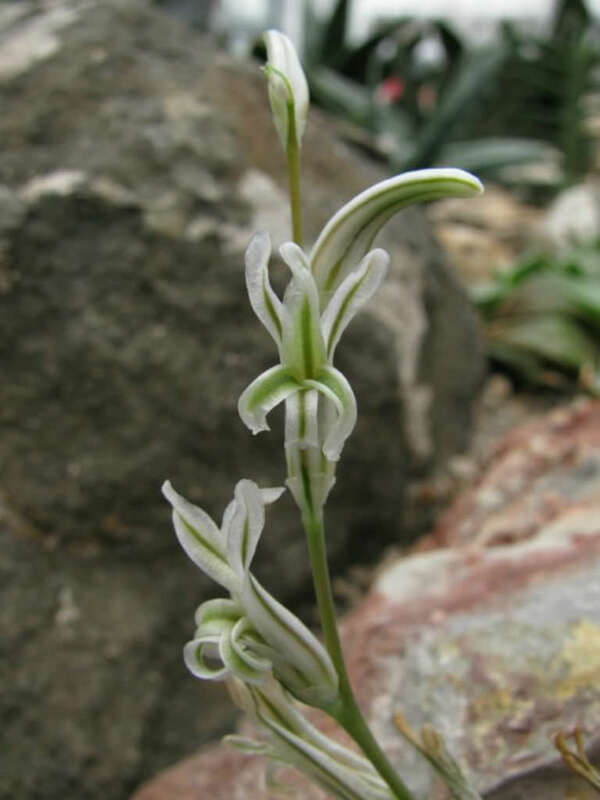 Flowers are 2-lipped, white with greenish veins, borne on a up to 8 inches (20 cm) tall inflorescence. 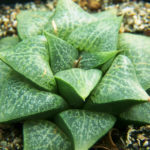 Haworthia emelyae var. 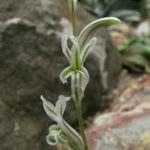 comptoniana is native to South Africa.